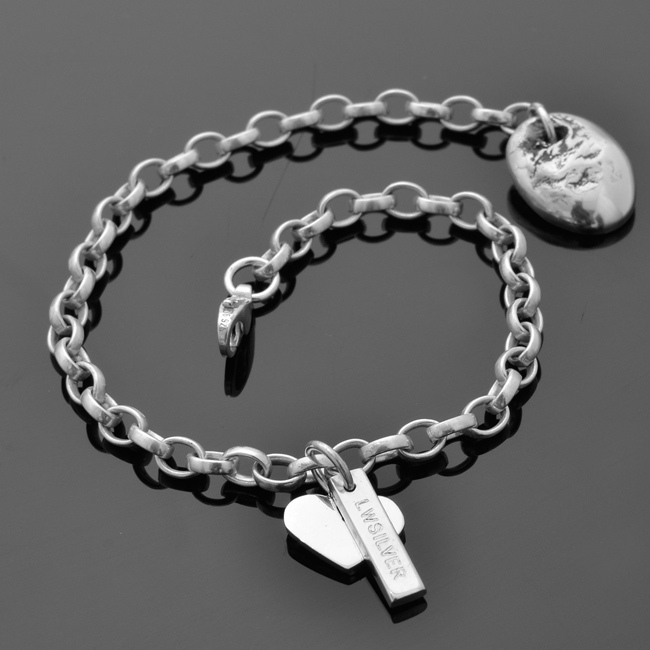 This beautiful piece comprises of a sterling silver belcher bracelets with a hand cut love heart charm and a solid silver nugget. Availability: In stock Size: N/A Categories: All Jewellery, Bangles, Wedding Jewellery, Wedding Gifts. Tags: bespoke silver, bracelet, charms, daisy bracelet, flower, flower bracelet, handmade silver, jewellers, jewellery, jewellery designer, jewellery maker., liverpool, love bracelet, LWSilver, north west, silver, silversmith, sterling silver, uk, wedding rings, wirral. Option of adding more charms.